For a long time, mankind has been dreaming about colonizing Mars, and it is not for lack of trying that we haven’t succeeded by now. Thus, the only way mankind can currently leave this planet and go into space is either in movies, TV shows, books, or video games. There is a long list of movies and TV shows that focus on Mars and how to get there, most notably Mission to Mars, The Martian, John Carter, and very often in episodes of the popular British TV show Doctor Who. While most of today’s video games are set on Earth, every now and then game developers will create a game that is set either in outer space on some distant planet or galaxy, or on one of our nearest planets, like Mars. However, Earth is the planet we know best and putting it into games is easy, thanks to people easily recognizing popular landmarks. The setting on Mars is always fictional, even if it seems like it is the real thing when you watch a movie like The Martian. Here we will give several examples of video games that focus on leaving Earth to explore the galaxy, while also pointing out several great examples of video games that have awakened our interest in visiting the red planet that is supposed to have once been very similar to Earth, and even might be the origin of life on this planet. Some video games either center on the futuristic aspects of space travel and encountering life on Mars, while other specifically target our worst fears – being stuck on a planet, far removed from our own world and having to fight against whatever evil lurks in the shadows of space stations. Here you will see some of the most popular games giving you a chance to battle aliens and other humans on Mars. The original Doom was released on 1993 and was a revelation. Similar to Return to Castle Wolfenstein, it gave you the chance to kill whatever came your way, without as much as feeling the least bit of remorse for shooting someone straight in the face or dismembering their body with your intricate and powerful weapons. It became an instant classic is still played throughout the entire globe. You take the role of a space marine that has to save the space station from demons that have infested both moons of Mars, Deimos and Phobos. The game will take you across 24 levels, each one increasingly more difficult than the previous. In 2016, id developed while Bethesda released the newest installment in the popular series, giving players the chance to experience total claustrophobia in a more modern gameplay and with better visuals, literally bringing Hell to life. If you enjoy first person shooters that will scare you, then this is a must. The Mass Effect game series is widely popular because of its many enjoyable games, and if you haven’t played the game before, you should make sure to check it out after reading this. The game series focuses on Spectre, the first human and an agent of the Citadel Council, a massive city in space, housing multiple alien races. Before the story unfolds, we are told that previously humans managed to land on Mars and discover the ruins of an ancient alien race. It turned out that these ruins ultimately gave humanity the means to accomplish interstellar space travel and propel us through the vastness of space using Mass Relays. This leads us to meet new species and eventually be accepted into the Citadel Council. 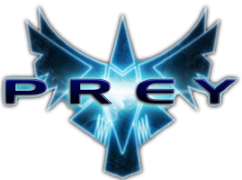 This might sound simple, but it gets increasingly darker when an evil race of synthetic creatures called Reapers decides to wipe out all life in the universe to pave the way for synthetic life, which they regard as pure. The game series has a fascinating story and will provide hours on end of exciting gameplay. In case you want to even visit a Mars-theme online casino, there is the Mars Casino, a unique and new online casinos that provides a multitude of exciting casino games with spectacular graphics and attractive welcome bonuses. With people like Elon Musk talking ever more about the possibilities of leaving Earth to find a suitable planet which can support life, there is always talk about what means humanity would use to accomplish this. Probably the most important thing in this endeavor is getting safely off Earth and then returning also safely returning, if possible. With the outcome of several elections prompting some to consider leaving Earth for good, it would be a great time to consider some video games that provide the easiest and safest way to escape this world and make it a distant memory. The oldest entry on our list is also the one which demands the most of its players in order to leave Earth. This is accomplished by winning the game. However, the game will provide you with a setting similar to our own. Players start the game by exploring the land and learning to navigate before the set out on the seas to conquer the world. Civilization takes elements from humanity's history and achievements, often basing the game on actual events, places and people, and gives you the chance to make it your own improved history. Thus, each time you play the game, when you try to leave Earth for the stars, it seems like it is your own journey. The main goal of the game is to advance humanity so far that it achieves the possibility to travel through space and colonize it. This resembles our own intentions as a society, and feels very close after you have played the game. The Halo: Combat Evolved game is focused on an overpopulated Earth, which forces humanity to go for the stars and to colonize new worlds. The game series notes that humans have already figured out interstellar space travel, allowing us to spread among the stars. However, the aggressive aliens known as the Covenant want to put a stop to humanity’s efforts to explore the stars, seeing it as an insult to their gods and decides to attack human settlements wherever they can, prompting an all-out interstellar war. To combat the Covenant, the SPARTAN super-soldiers are created, introducing us to the Master Chief. The game series shows the dangerous aspects of encountering hostile aliens, despite it also showing that leaving Earth for other, new planets is an adventurous endeavor, which could end in disaster for both humanity and aliens if we are not careful. This game should not be confused with Bethesda and Arkane Studios games that bear the same name as this one. Back in 2006, this game as a revelation to video game enthusiasts, but unfortunately, it never managed to reach the success of other similar games that came out around the same time. The game has a unique story, focusing on a Native American Cherokee as its protagonist. His goal is to leave the reservation where he and his partner live, but she does not share his sentiment. The game was very forward thinking with their sexist and racial elements through which some the story is told, and was certainly ahead of its time in 2006. Almost the entire story takes place on an alien spaceship which arrives on Earth in order to harvest humans. The protagonist Tommy manages to escape and searches for his partner Jen. Throughout the entire gameplay, Tommy will comment in what is currently going on, which gave his character and the game more depth. The ending of the game will probably leave you heartbroken, but it surely deserves an entry on this list. Shattered Horizon is another excellent and entertaining video game with a unique setting. First of all, it is a multiplayer first person shooter which distances itself from most games that are set in space. The game is set between Earth and the Moon, surrounded by debris from an exploded space station and millions of rocks that were once part of the Moon, but are now just floating debris after a mining accident occurred on the Moon. It features 2 distinct fractions that are warring against each other, one representing the International Space Agency, the other is part of the Moon Mining Cooperative. The game provides players with incredible battles while floating in space, without a clear up or down. If you are new to video games or this one in particular, you might experience some disorientation at first before you can overcome this “minor” obstacle.